Denton Towing Company is available 24/7 to help motorists in the Greater Denton, Texas area with their towing and roadside assistance needs. Being fully licensed and insured to provide our professional expertise and services at an affordable cost has been our pleasure. 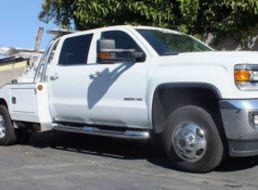 Our fleet of towing vehicles are regularly maintained and equipped to handle a variety of towing options. Denton Towing Company specialists are trained and experienced in the field and can provide professional quality and efficient workmanship. We know that in most scenarios that require roadside assistance or towing services, folks are often in a stressful situation. Our compassion and patience will give you some peace and comfort knowing you are in dependable hands. Denton Towing Company towing services are readily available 24 hours a day, 7 days a week in the event of an emergency. Whether your vehicle has become disabled, in a collision, stuck in the terrain, or simply need a tow to a destination under other circumstances, Denton Towing Company is there to offer our quality services. At Denton Towing Company, we offer a wide range of towing options to meet your standards and specifications in the Greater Denton, Texas area. Denton Towing Company flatbed towing method is one of the safest, easiest, and fastest methods available. Your vehicle has all 4 wheels firmly on an elevated platform that is completely secured. No matter the condition of your vehicle, flatbed towing can ensure no damage is inflected in the process. Vintage, classic, luxury, or other exotic collector vehicles are also accommodated with safe conditions. 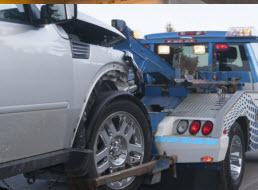 No matter if you are in need of a local tow or a long distance tow service in Denton, Texas Denton Towing Company is readily available to lend our expertise. 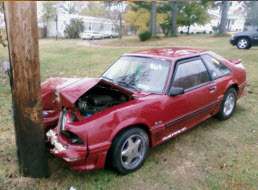 Auto wrecker services in Denton, Texas comes in handy for motorists who have been in a collision and need assistance after the vehicle has become disabled to mechanical, electrical, or auto body damage. 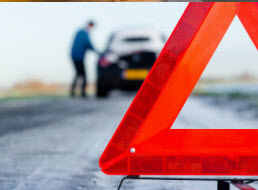 Roadside assistance calls are greeted with our wrecker service in the event that the automobile is beyond our resources and needs to be transported to another location. Needing a winch out happens frequently enough when the terrain sinks the vehicle from sand, mud, snow, or even if the automobile has come into contact with a ditch or something similar. No matter what towing option the locals of the Greater Denton, Texas area needs, Denton Towing Company is eager to assist. With our 24/7 emergency towing service, we will still be able to come to your location and provide a safe and efficient tow. Call Denton Towing Company today for all of your auto towing needs.